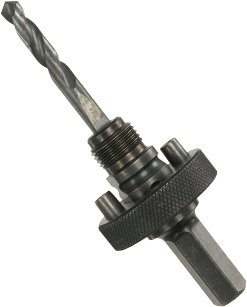 Standard Large Two-Pin Mandrel for Hole Saws 1-1/4 In. to 6 In. Description Large two-pin madrel for hole saws 1-1/4"-6"
HSBAM Medium mandrel for hole saws 9/16"-6" 3/8 In.